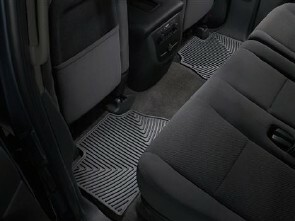 All-Weather Floor Mats have deeply sculpted channels designed to trap water, road salt, mud and sand. They won't curl, crack or harden in sub-zero weather. 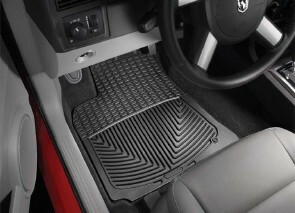 Our All-Weather Floor Mats also have anti-skid ridges to prevent shifting in your vehicle and come with a protective, non-stick finish to make cleanup quick and easy.